Next, guess which of these things I had at my wedding. If your answer was “All of the Above” you are 100% correct. Add some blush pink, a candy bar, and a bunch of chalkboards and this could be my wedding blueprint. Just to clarify, I thought this meme was funny because it is so accurate. Those things have been wedding trends for a few years now and it seems like they’re all over the place, so before I get a bunch of comments saying that I have no sense of humor, don’t worry, you guys, I do. I literally laughed out loud when I saw it. But it also made me think. 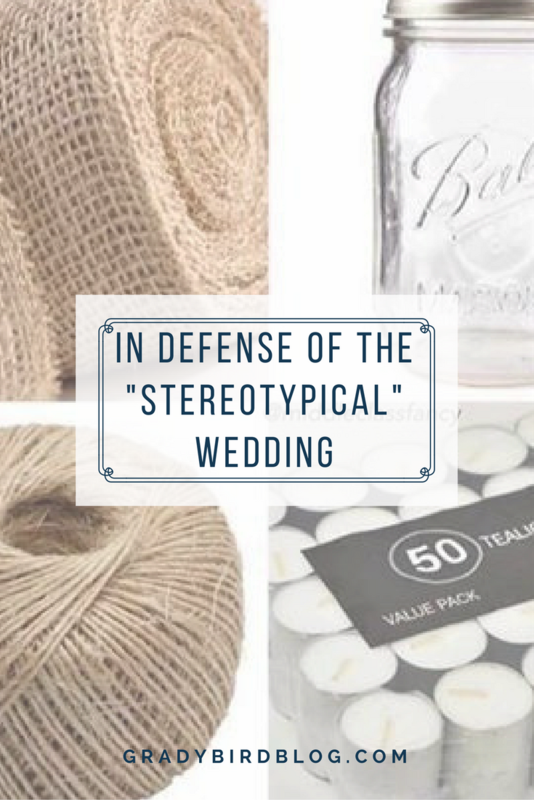 Made me think about the notion of “stereotypical” weddings, and the super high-pressure that couples, especially brides if we’re being honest, are put under to make their weddings unique and timeless. My wedding was in a barn decorated with Christmas lights. 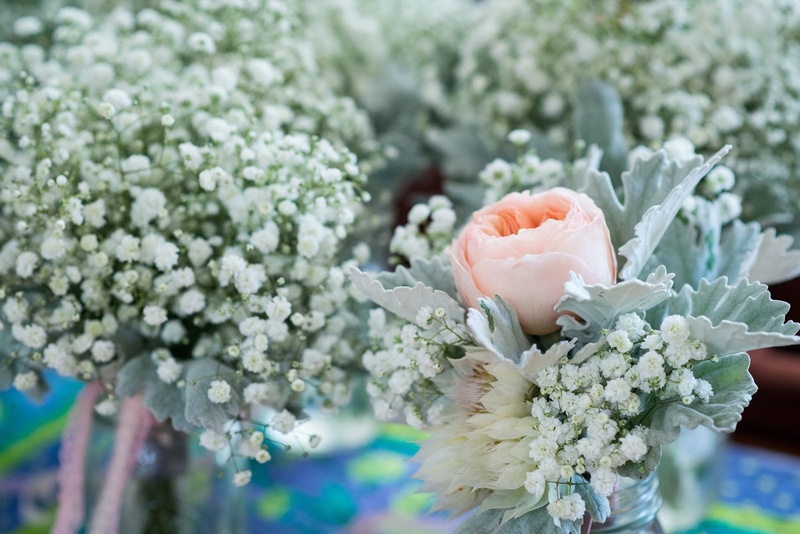 My bridesmaids wore short pink dresses and held baby’s breath bouquets. 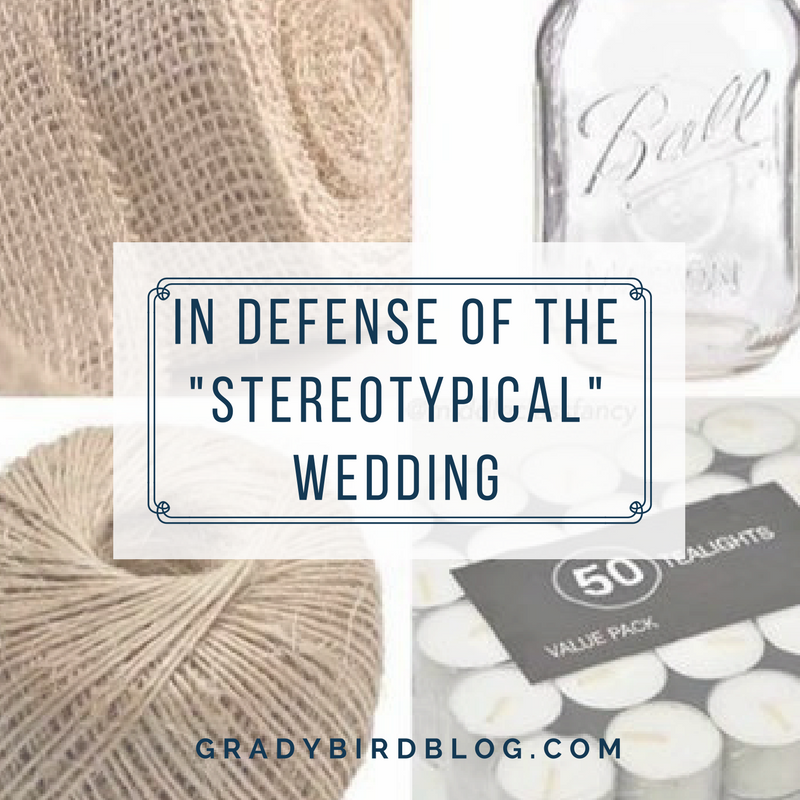 It was beautiful and sentimental and gorgeous, and almost none of it was “timeless.” Literally all of the things I just listed were HUGE wedding trends at the time. And you know what? I saw them and I loved them and so we had them at our wedding. It was very me and very Christopher, but I don’t think much of our day was shocking or surprising, and it certainly utilized many popular wedding choices for 2015. On purpose. And you know what? I’m happy about that. I want to look back at my pictures and be able to instantly tell what year it is. To see the trends and choices and know that it fully reflected our tastes at that time. It’s FUN to look back at my parents’ photos and see the big hair and the bright suits and know that this is a photo from another time. And those things were “stereotypical,” then, too. But (most importantly!) those choices suited my parents and they loved their wedding and each other and that’s what matters. I am well aware that the “Barn Wedding” trend is going to go out of style. Maybe it already has, I don’t know. But I am stupidly happy that our wedding reflected our preferences and what we liked about weddings at the time. 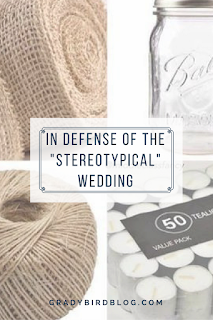 I guess I want to implore anyone who’s wedding planning to give themselves a little break on trying to avoid “the trends.” If you love something, go for it! If something from the “stereotypical” wedding (whatever that may be at the time!) calls to you, then that’s what you should have! If you want to do something unique, definitely do it, but if you LOVE lace, don’t avoid it because you know it’s something “everyone is doing right now.” Who cares?! This is your wedding, my friend. 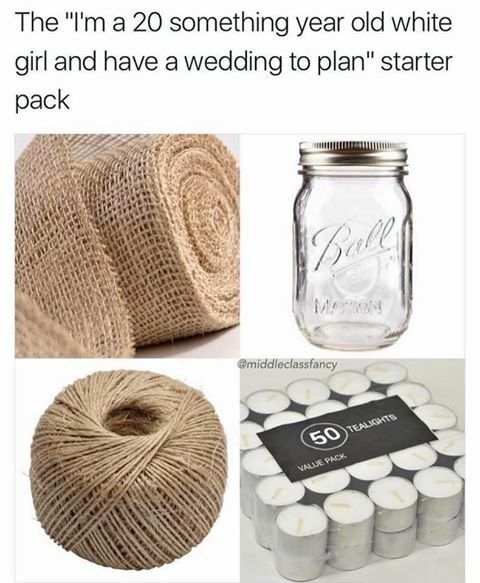 And everyone is NOT getting married that day – you are! Make sure your wedding reflects you and what you love, and don’t worry too much about creating a “timeless” day. Someday I may think it’s hilarious that we had mason jar flower arrangements at our wedding, but I don’t think so. I think it’s much more likely that I’ll look back and see a day that was perfect for us at the time. Perfectly the two of us, and also perfectly – and yes, stereotypically – 2015.